The role is a fixed term contract from 3rd June 2019 until 31st December 2019. We are also open to applications on a consultant basis including full time or part time. Please state clearly your expectations and any preference. The International Relations team sits within the English Football Association’s International & Corporate Affairs division. The purpose is to maximise the EFA’s presence on the international stage, building relationships within FIFA, UEFA, the confederations and fellow national associations, developing strategic partnerships and sharing best practice, and engaging in projects with international partners to drive social change through football. The IR team plays a supporting role to the FA leadership operating at FIFA & UEFA level, to the England teams competing in tournaments, and to the FA events team in delivering international events and competitions in England. 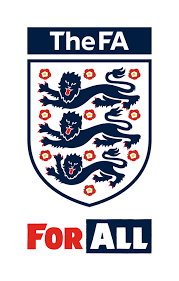 This new role requires carving out and delivering new engagement programmes across the confederations, using existing experience of working in international football. It requires confidence in working with and for leadership teams, and an ability to think and work strategically, deliver projects overseas and build a network of contacts across the national associations. The role is envisaged as Wembley based with overseas travel. Work with the ICA Director and IR Team to help develop strategies for working in the continental confederations, and taking responsibility for growing partnerships as directed in specified regions and countries. Develop and deliver projects in those areas in line with the IR team’s drive to build important relationships across the confederations. Projects will range from, for example, organising training courses, such as coaching courses (eg: women/men/disability) to knowledge-sharing visits on a range of topics by English FA representatives as well as arranging inbound visits from overseas FAs and delegations. Liaise and collaborate with both external and internal stakeholders, which will include FIFA, the confederations, overseas national associations, experts required for knowledge-sharing activity, the Foreign & Commonwealth Office and NGOs involved in international development. Operational delivery of the programmes you initiate, drawing support from the wider IR team where appropriate. Ensure all programmes are delivered to time and to budget, and in line with FA / IR Strategy. Develop a network of contacts within the confederations and their national associations, liaising with others (such as FIFA/UEFA) as appropriate. Build an internal FA profile to involve relevant colleagues/departments as required in the delivery of activities.